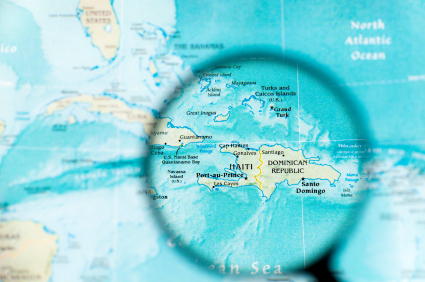 New York – Members of the Haitian Orthodox Mission have survived hurricane Tomas, but lost the little they had left after the devastating earthquake of Feb. 12. Torrential rains and gusty winds caused by Tomas severely damaged several regions. Floods affected Leogane, Petit Goave, Cayes, Baradères, Petite Riviere de Nippes, Jeremie, Gonaives, Port-au-Prince, Jacmel and Port de Paix. The country's authorities say more than 30 people died and more than 7 are missing. Although there have been no casualties among mission members, their situation has radically deteriorated. Residents of Leogane and Jacmel took the greatest hit. Mission members are frantically searching for pieces of tarp to cover themselves from the wind and rain. Several districts of Jacmel are still covered in mud left by the waters. In Les Cayes, gusty winds destroyed the roofs of houses and broke trees in the gardens of the faithful; flood waters destroyed and carried off the homes of two members of the Parish of St. John of Shanghai and San Francisco. In Jacmel, gardens and vegetable patches of the members of the parish of St. Augustine have been completely destroyed. Residents of the town are in a worse economic state than residents of other cities. In Maissade, winds and floods have destroyed the harvest collected by the parishioners of St. Irenaeus of Lyons. Meanwhile, cholera continues to spread in the country. Although it has not yet touched the lives of mission members, the epidemiological situation in the country has worsened. The floods have left the streets covered in mud, which makes moving around difficult. The situation with drinking water is becoming dire. At this difficult time, every prayer and every cent is valuable to our suffering brothers and sisters in Haiti. We ask you to please donate now to assist our brethren in their hour of need.